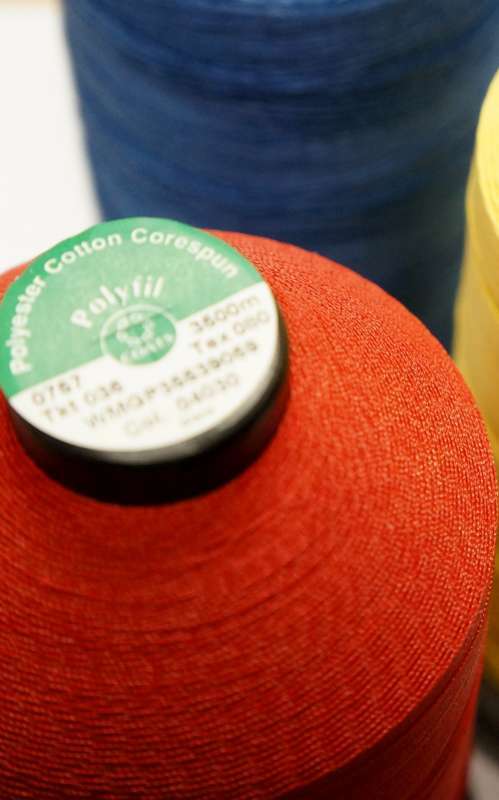 Alpha Universal keeps a range of good quality sewing thread in various colours and sizes but our main line is a corespun polished cotton wrapped polyester referred to as Polyfil. This is a good all-purpose thread used in many applications. It is robust and versatile an can be used for upholstery, tent and leather work to name a few applications. The beauty of the cotton wrap means that there is absolutely no needle heat generated whilst sewing – something that is prone to happen when sewing through multiple and thick layers. Cotton swells when wet so this does lend itself in a small way to filling needle holes – a quality looked for were leaking is an issue. However saying this – it does not solve the problem. Tenting fabrics have changed through the years with fibres being harder due to treatments etc. – so they do not recover to their original state once a needle has pierced it – thus leaving holes. So it is important to use the smallest needle possible for the thread and fabric to try and aid the issue of leaking. Remember the bigger the number the thinner the thread. 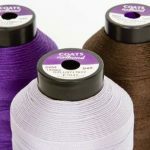 We also keep a limited colour range and ticket size in a UV treated thread – not to be confused with a term used loosely that the thread is UV resistant, What is meant by this is that UV treated is a topical, additional treatment of UV inhibitor to protect the thread. On the other hand “more UV resistant” is used as a sales point for 100% polyester threads. Generally UV resistant threads are less expensive. At Alpha Universal we do keep UV treated thread – ideal for outdoor applications like shade ports. The item is a bonded 100% continuous filament polyester(CFP) treated with UV inhibitors. The best explanation of CFP is it is extruded in long continuous yarns which are then twisted to form a thread. 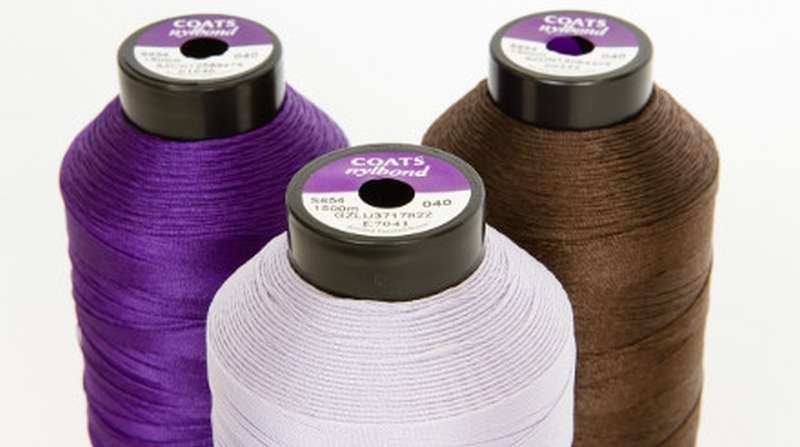 The other common 100% polyester thread on the market is termed a Staple Spun polyester (some call it upholstery thread) – which is the CFP chopped up and then twisted together to form a thread. The staple spun is often sold against the Polyfil but the qualities and properties are very different. The first indicator would be the price. The best way to identify the difference is that the Staple Spun is that it is hairy and the CFP and Polyfil are smooth. We do carry the 100% staple spun in a ticket 36 in various colours and in the CFP we stock mostly white and black in a ticket 20(white only) , 36 and 50 – ticket 8 is available in white and limited unless requested beforehand.